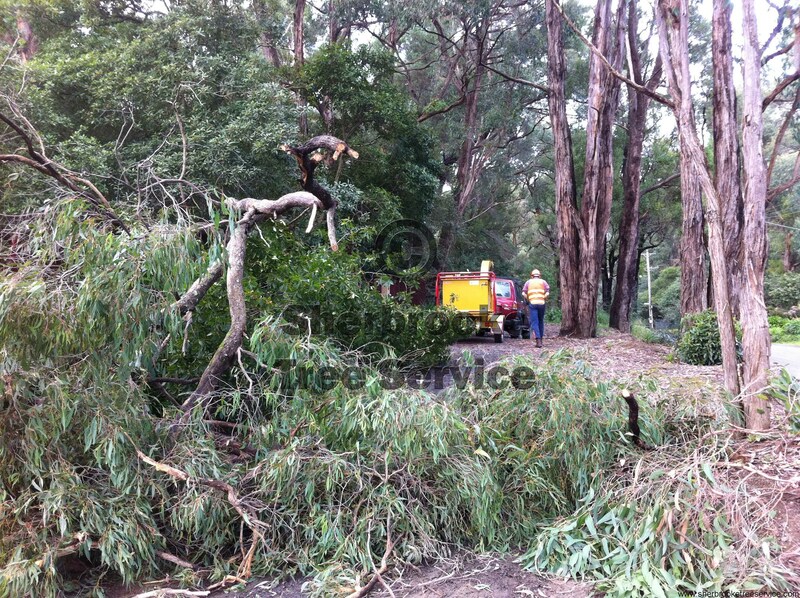 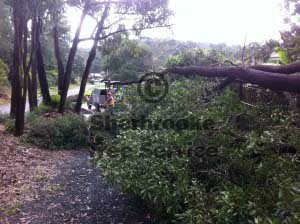 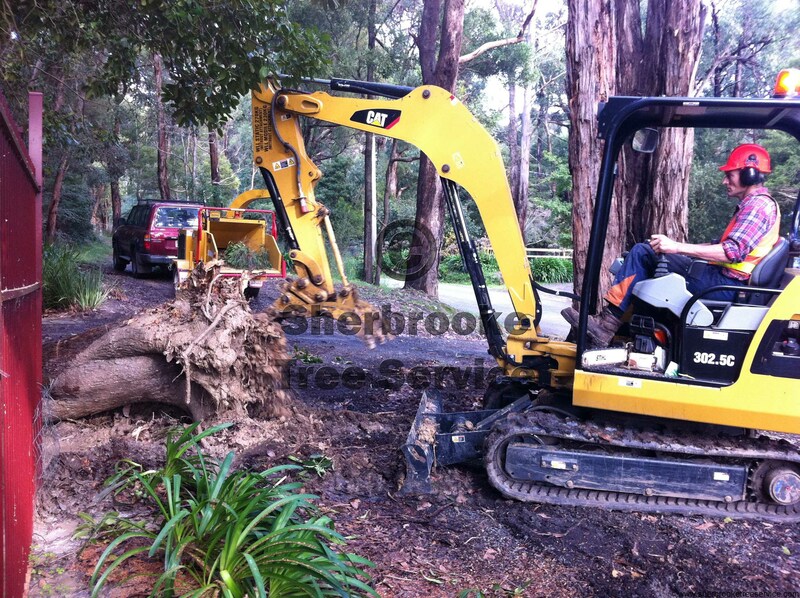 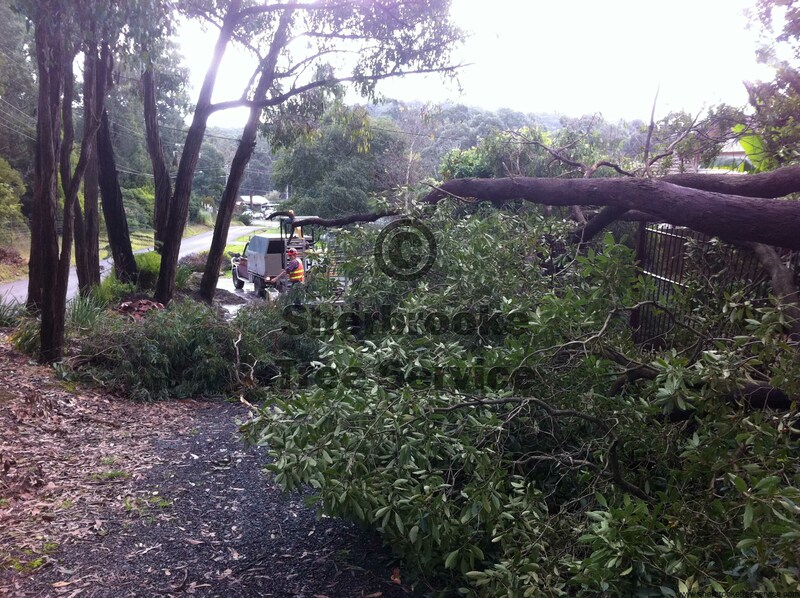 We had an urgent tree removal to do today in Mt Evelyn. 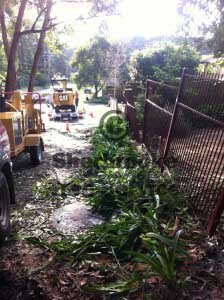 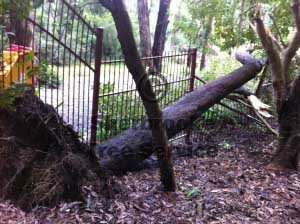 A tree had uprooted through the night and pulled the fence line with it. 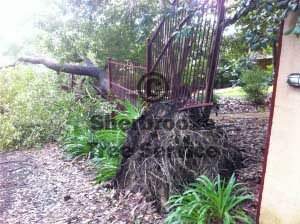 Fortunately no-one was walking along the footpath when it fell. 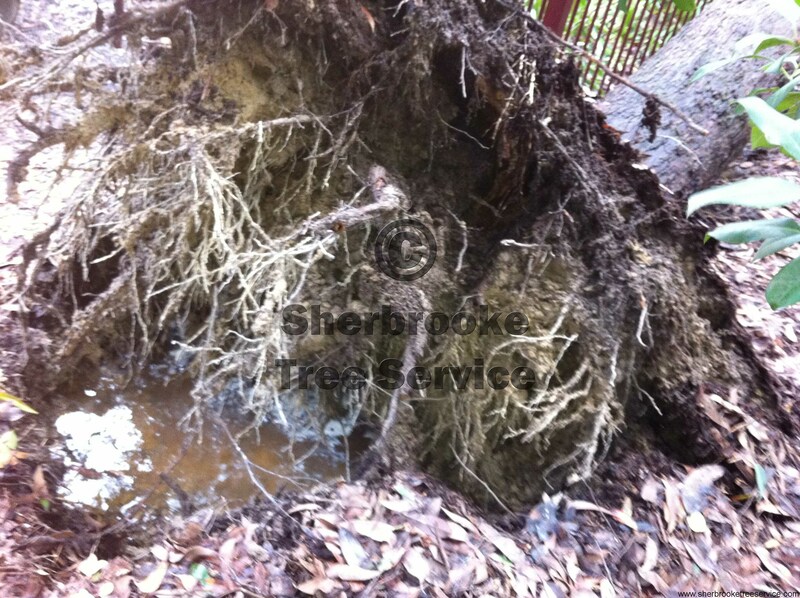 Often in wet weather, the increased amount of water in the ground allows the development of pools to occur in the root ball. 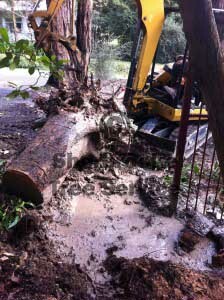 As the tree moves in the wind, the roots hydraulic causing the dirt that holds the tree to be turned to mushy mud and pushed away. Over a few days this destabilises the tree and often leads to failure. 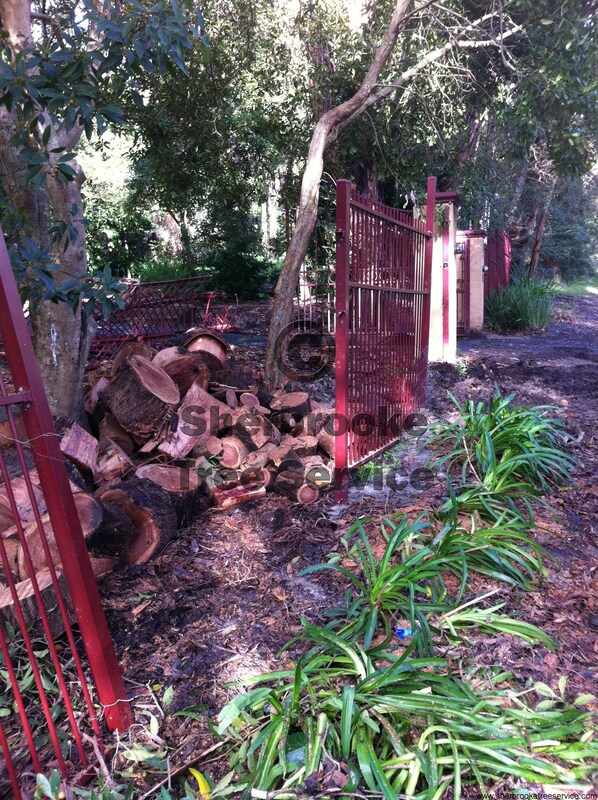 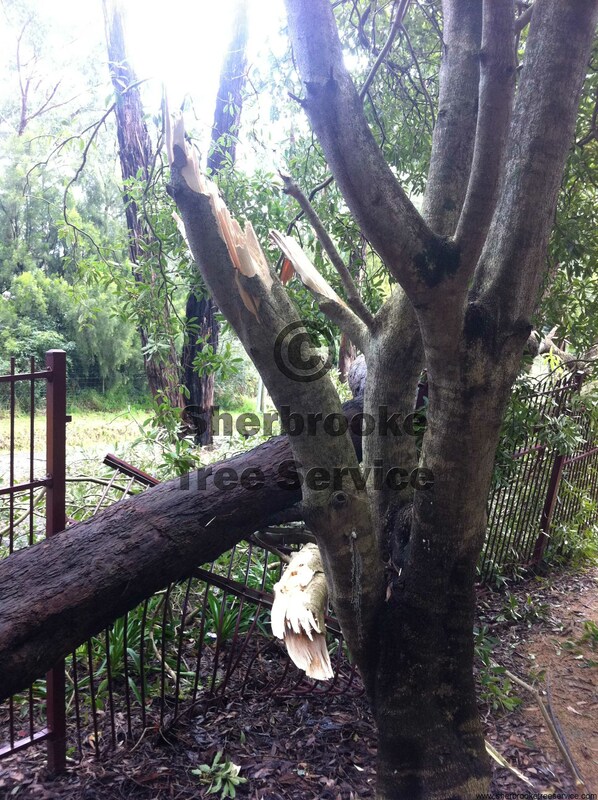 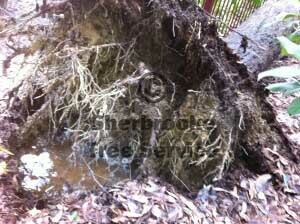 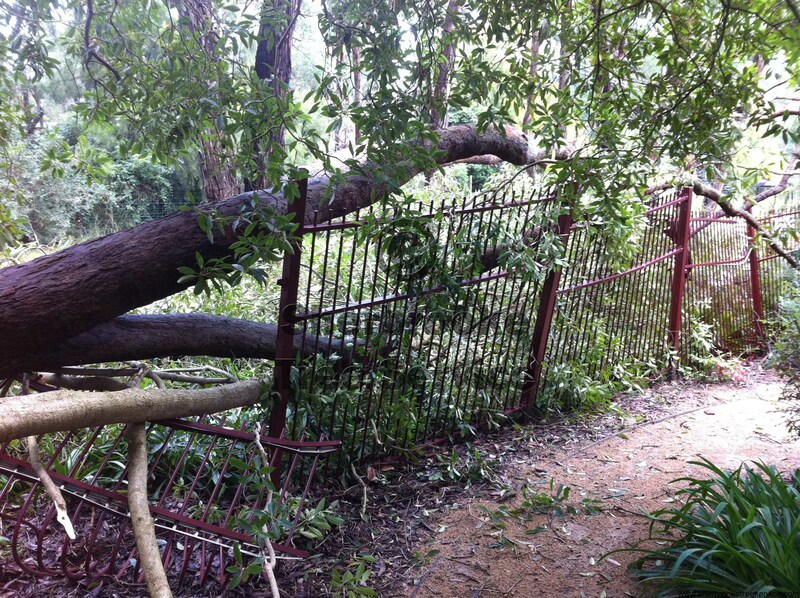 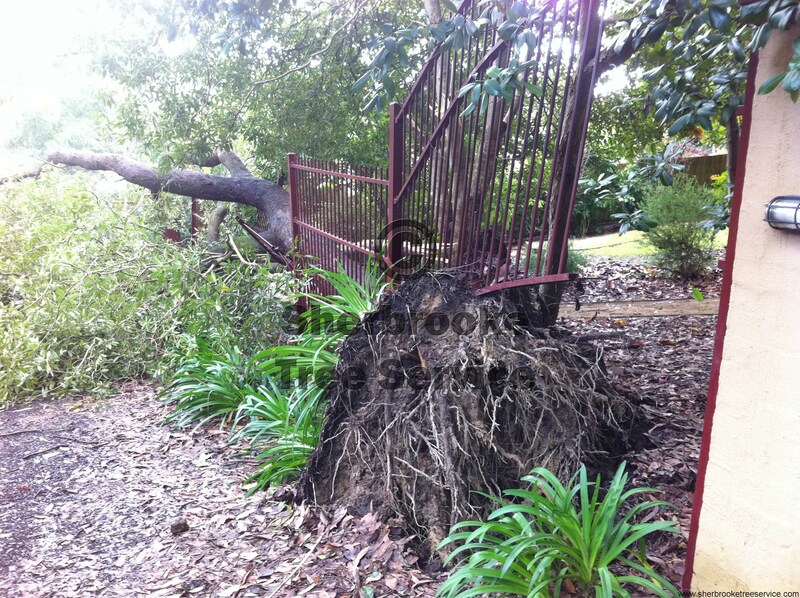 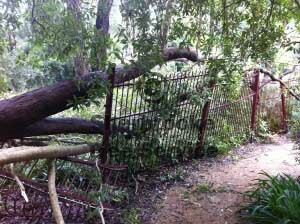 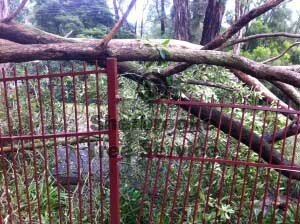 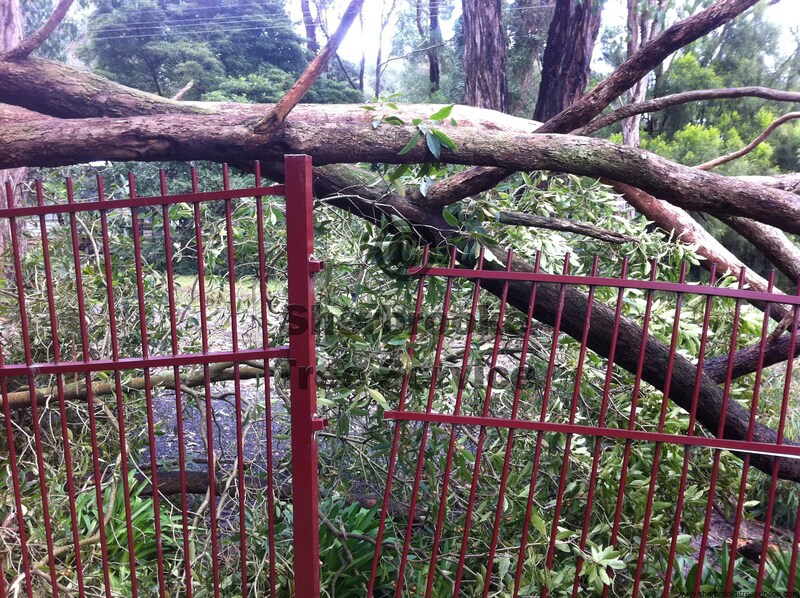 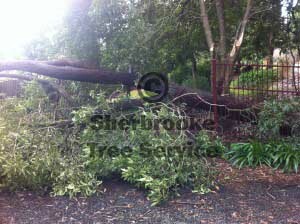 This tree was large enough to cause considerable damage to the fence line and surrounding garden. 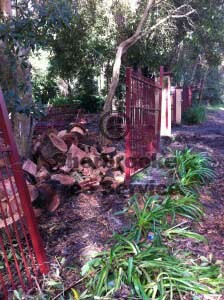 After chipping the branches and cut the tree into firewood and left the firewood and mulch for the home owner. 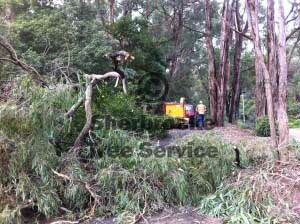 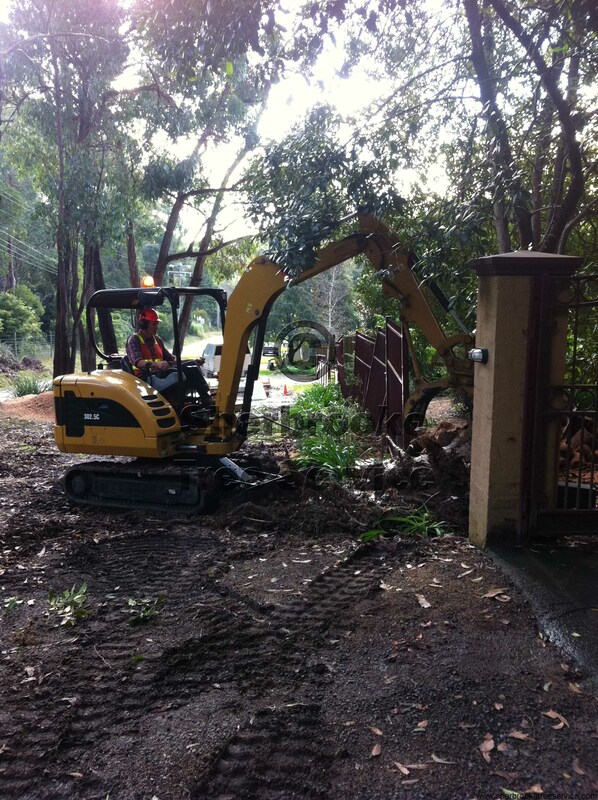 These kinds of tree removals are not unusual at this time of year, as trees tip out of the ground due to prolonged wind and rain. 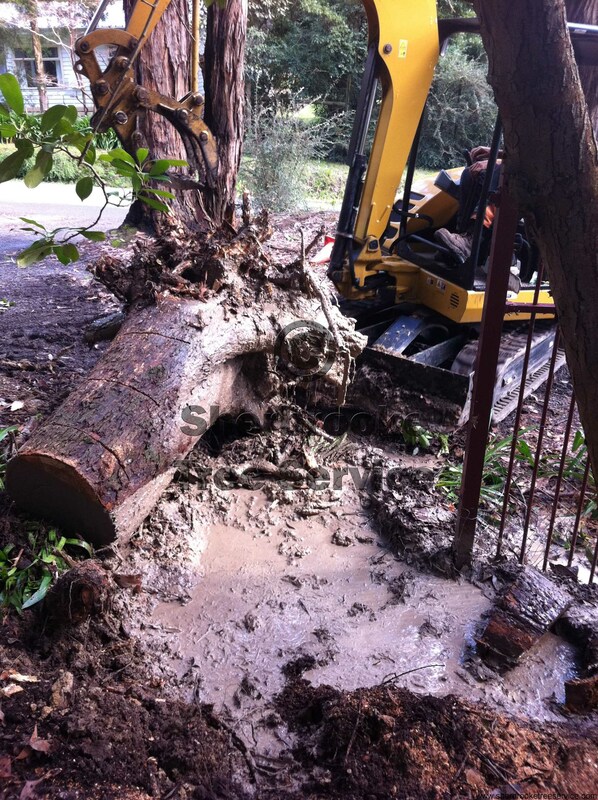 If you need your tree removed call us!